A class leading range of ENG/EFP lenses for 4K, HDTV or SDTV productions. 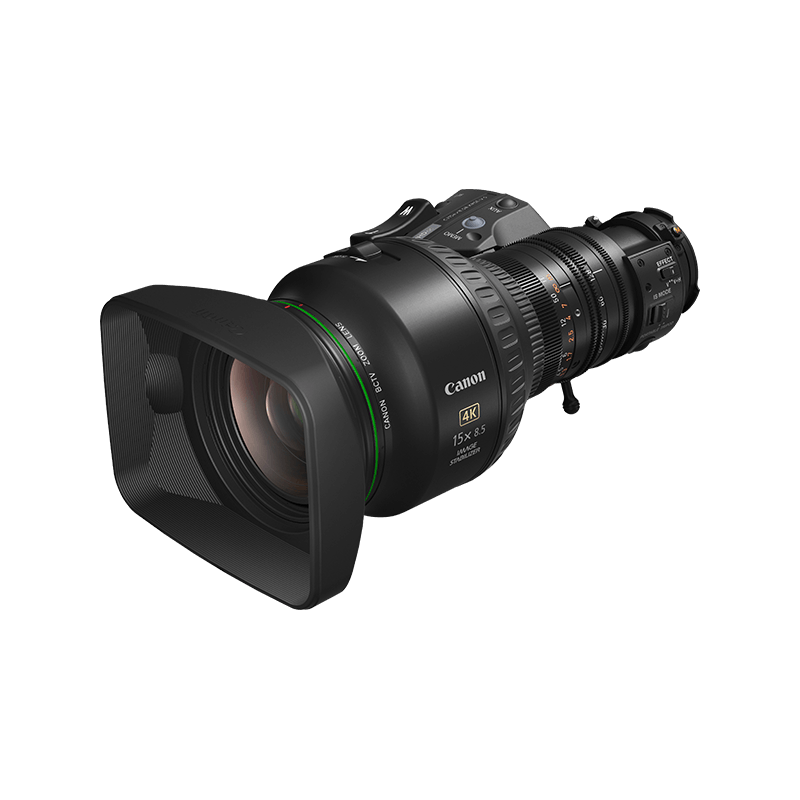 With extensive choice covering wide to telephoto zoom, the range covers 2/3”, 1/2” and 1/3” cameras, including options for cost-effective HD acquisition systems plus Canon’s xs technology and enhanced Digital Drive. 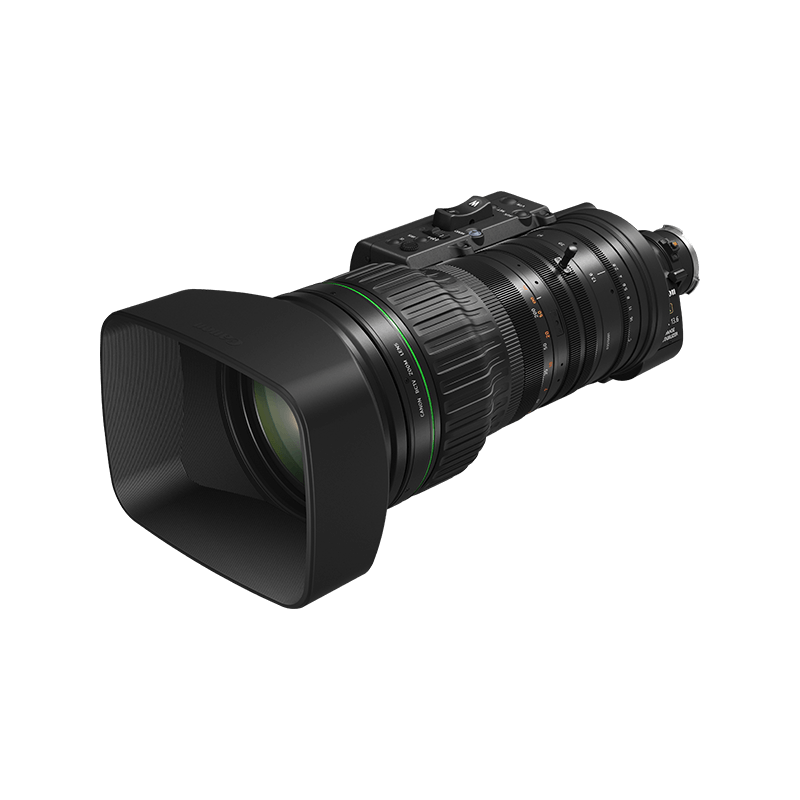 A compact, portable and lightweight 2/3” 28-500mm 4K broadcast zoom featuring a 2x extender for an exceptional 1000mm telephoto reach. 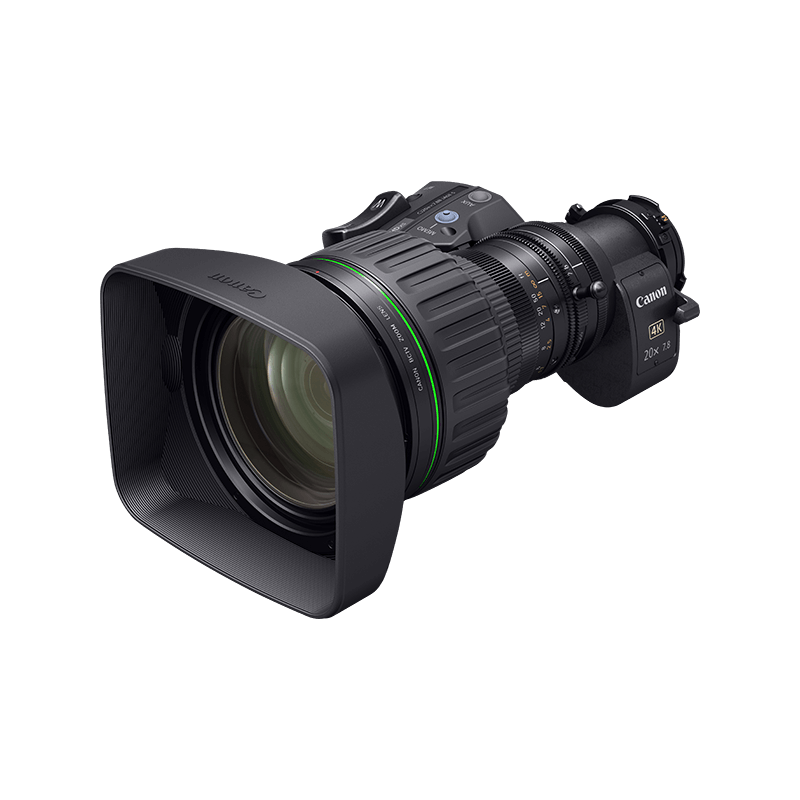 A compact and light 2/3” 8.5-128mm UHDgc lens boasting a Vari-Angle Prism for exceptional optical stabilisation at high magnification. A ground-breaking 2/3” 4K wide angle portable 12x zoom lens from 4.3mm for ENG and studio applications. A super telephoto lens especially suited for natural history, documentaries and challenging locations. A super telephoto lens especially suited for sports, documentaries and challenging location productions. 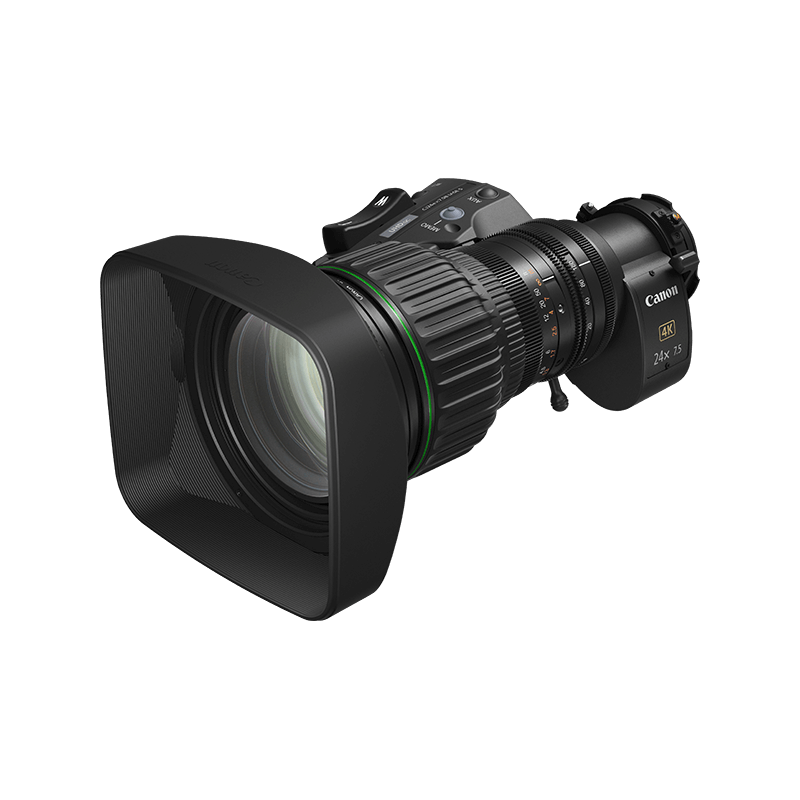 A class-leading portable 24x zoom telephoto lens with exceptional HDTV performance and ease of use. The wildest field of view of the standard telephoto lenses and suitable for dramas and documentaries. 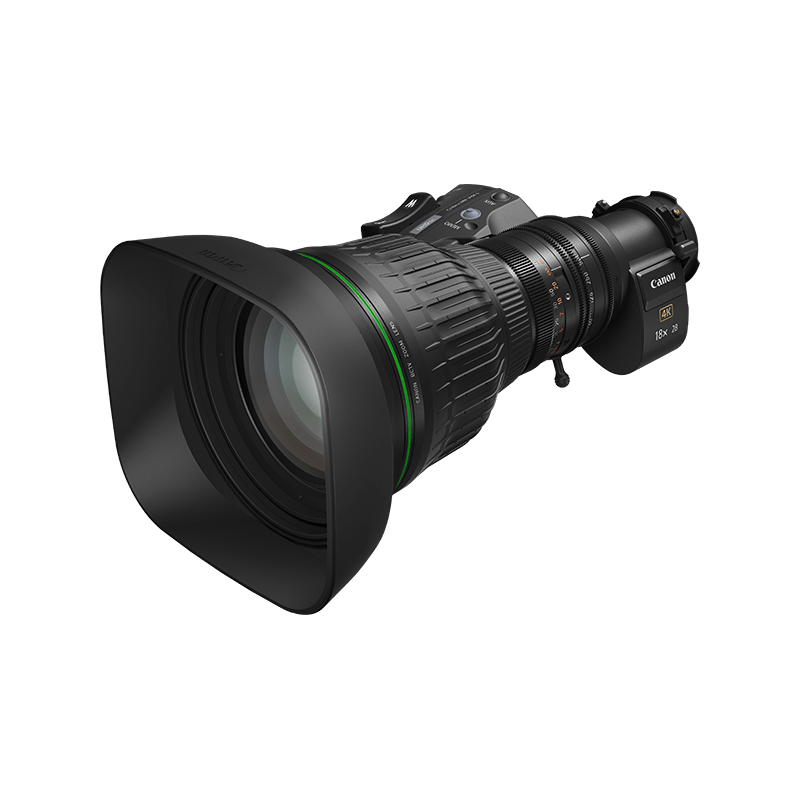 Super telephoto portable EFP lens ideal for concerts, special events, documentaries, natural history. 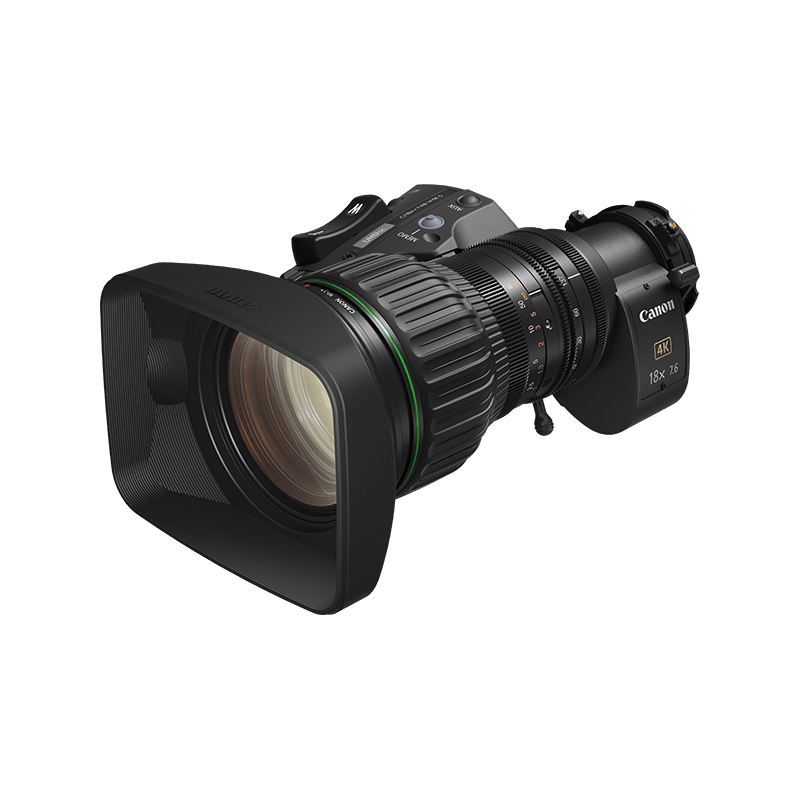 A compact, Standard HDTV lens with an 18x zoom and 7.6-137mm focal length, ideal for ENG applications. Premium Standard HDTV lens with superb optical performance from tele to wide and near to far. Canon’s widest portable HDTV lens surpassing its acclaimed predecessor with creative options. Portable HDTV lens with built-in image optical stabilisation, ideally suited for sports and moving subjects. Affordable 2/3” portable telephoto with excellent focal range, optical performance, and handling. Affordable 2/3” portable standard lens with excellent focal range, optical performance, and handling. Affordable 2/3” portable wide angle lens with excellent focal range, optical performance, and handling. Portable telephoto lens with extra wide angle and a built-in 2x extender that provides outstanding optical performance and value. 2/3” portable telephoto HD lens with extra wide angle for outstanding optics and value in a compact design. 1/2” portable telephoto lens providing great optical performance and value. 1/2” portable wide angle lens providing great optical performance and value. 1/3” portable telephoto lens providing great optical performance and value.